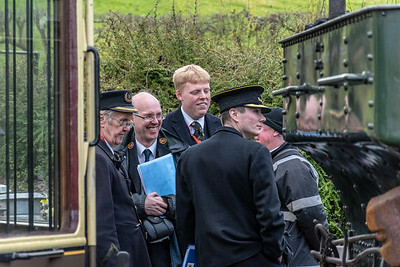 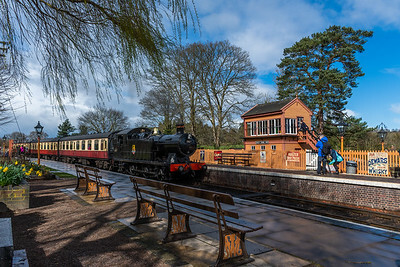 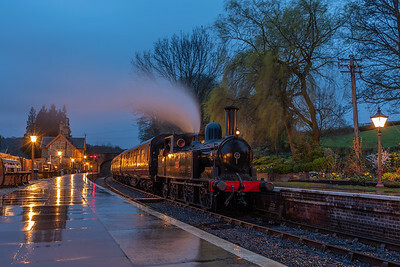 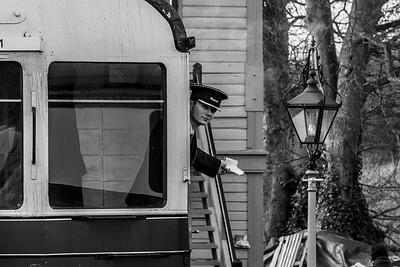 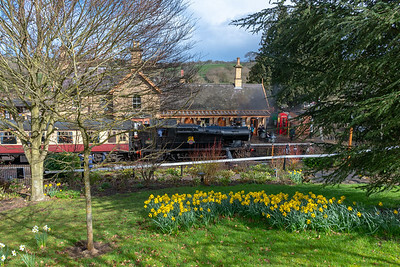 A selection of photographs taken at Arley during the Severn Valley Railway's 2019 Spring Steam Gala. 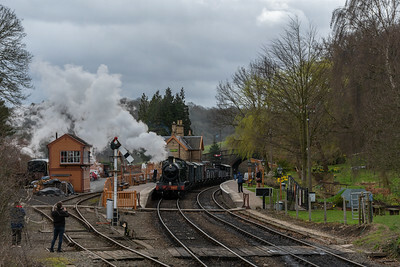 2857 passes Arley with a down goods train to Bridgnorth. 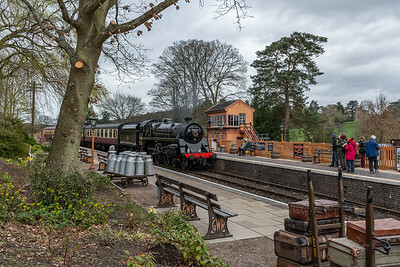 75069 arrives at Arley with an ECS from Highley. 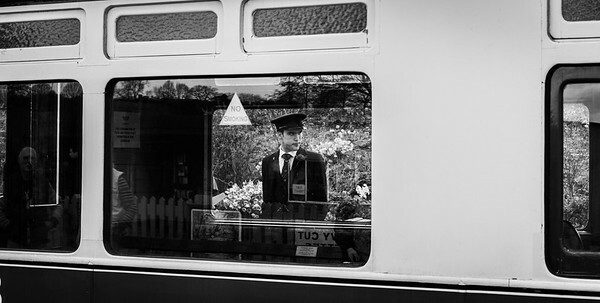 Forms 13.25 to Bewdley. 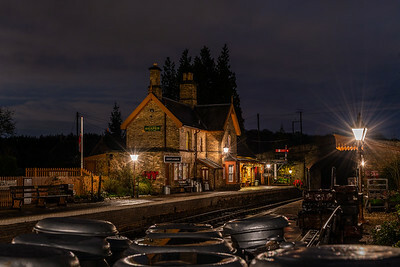 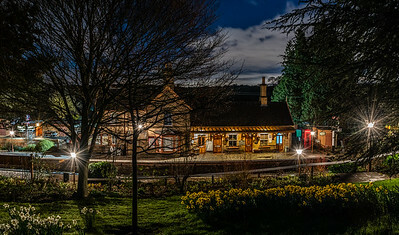 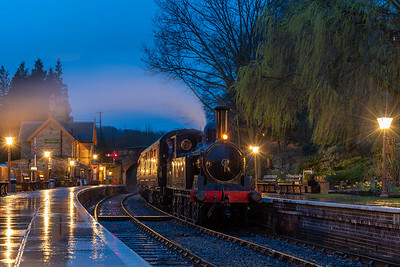 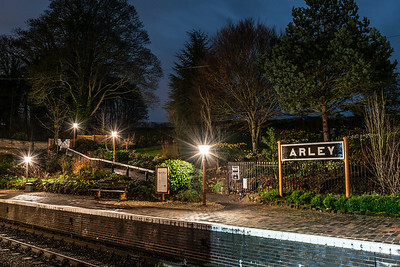 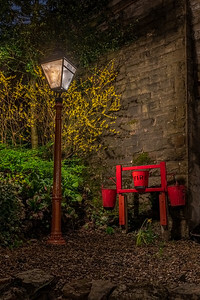 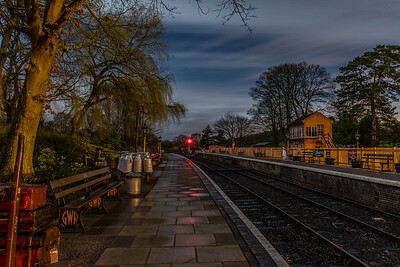 Arley station by night. 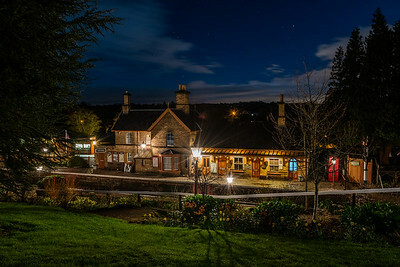 Long exposure for star trails. 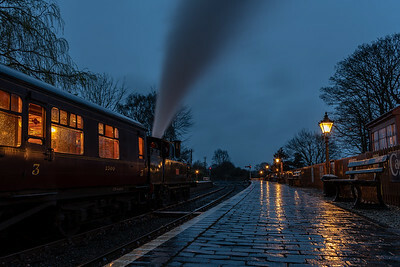 Wish I had carried this on a few more times!! 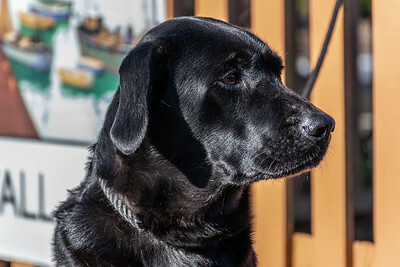 Mascot of Arley station...this lovely dog belongs to one of the volunteers at Arley station. 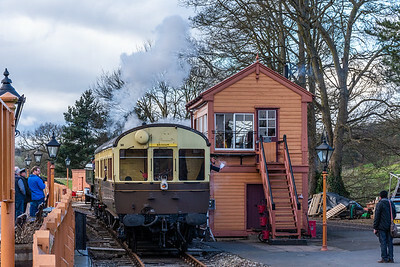 Arriving into Arley yard having worked ECS from Highley. 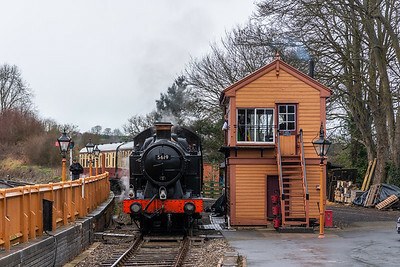 5619 sits in Arley up platform, about to work the 13.17 local to Kidderminster. 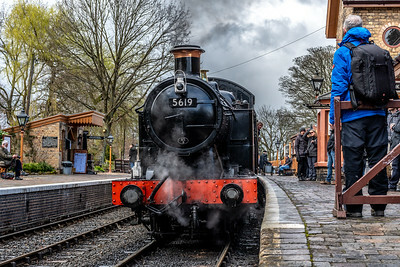 5619 rests in Arley up platform, waiting to work the 13.17 local to Kidderminster Town. 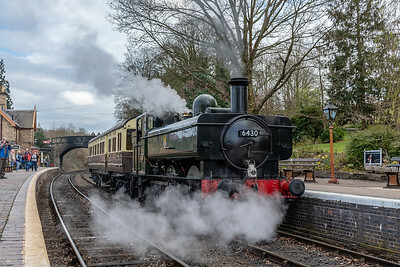 6430 arrives with an auto train local service to Arley from Bewdley. 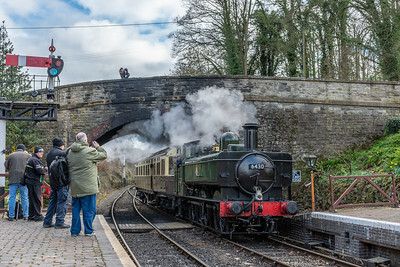 Standing in platform 2 awaiting a path into the yard. 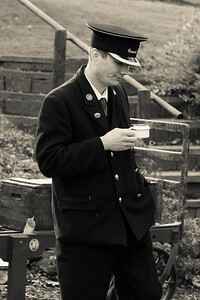 Always time for a cup of tea! 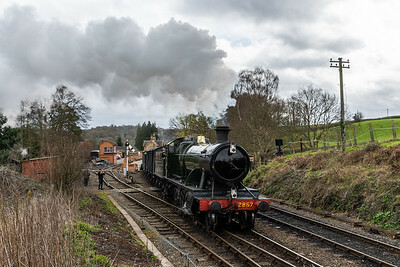 6430 pushes an auto coach into Arley yard.